Linon Home Décor Products of Mineola, N.Y., is recalling about 200 Cynthia dressers. The chests are unstable if they are not anchored to the wall, posing a serious tip-over and entrapment hazard that can result in death or injuries to children. This recall involves Cynthia-style 5-drawer dressers. The dressers measure 40.25-inches tall by 17-inches wide by 13.5-inches deep, and were sold in a cream color. 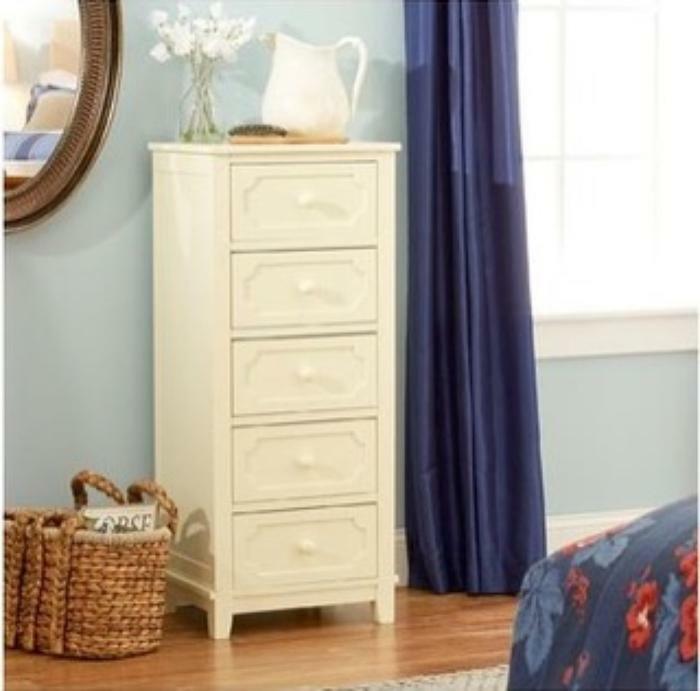 The dressers, manufactured in Vietnam, were sold exclusively at Wayfair.com from September 2015, to August 2016, for about $150. Consumers should immediately stop using any recalled chest that is not properly anchored to the wall and place it into an area that children cannot access. Consumers should contact Linon Home for a full refund or tip-restraint kit. Consumers who are unable or unwilling to install the tip-restraint kit should contact Linon for instructions or additional assistance. The firm is contacting all known purchasers directly. Consumers may contact Linon Home Décor at 800-622-4456 from 9 a.m. to 5 p.m. (ET) Monday through Friday or online at www.linon.com for more information.